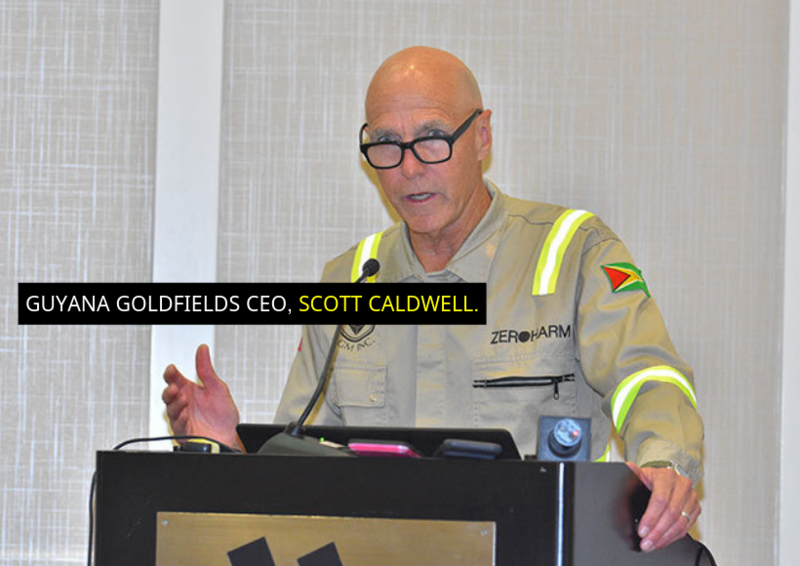 Over its remaining 13-year mine life, Guyana Goldfields Inc. is poised to recover a total of 2.1 million ounces (Moz) of gold averaging 218,000 ounces per year for the first five years (2019-2023). Significantly, the Canadian mining firm said that production is expected to peak in 2024 at 251,000 ounces. 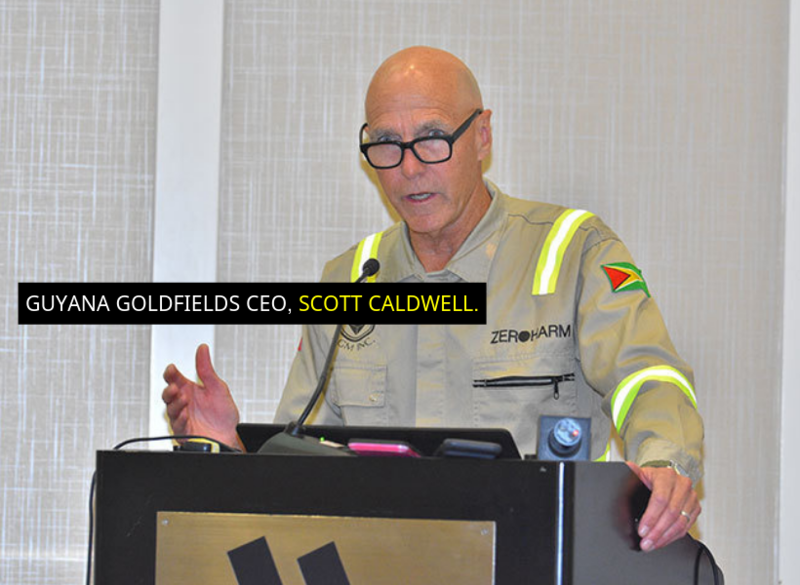 Guyana Goldfields said that of the total 2.1 Moz, approximately 24 percent is expected to be sourced from open-pit operations, with the remaining 76 percent expected to be sourced from its planned underground operations. The company noted that Open pit mining has been underway since late 2015 using conventional 5 m³ to 6 m³ excavators and a mixed fleet of 33-tonne and 45-tonne capacity haul trucks. It said that a total of 64.7 Metric Tonnes (Mt) will be mined at an average mining rate of up to 75,000 tonnes per day. With respect to underground mining, Guyana Goldfields said that this will be done via decline access. It said that a combination of long hole open stoping (LHOS) with backfill sub-level retreat (SLR) and sub-level cave (SLC) has been planned. According to its Life Of Mine Plan, underground production will average approximately 5,200 tonnes per day. Guyana Goldfields said that underground development is also expected to provide an ideal platform to potentially upgrade and expand the underground resource through exploration drilling. The Canadian mining company’s underground project is still awaiting approvals from the Guyana Geology and Mines Commission (GGMC) and the Environmental Protection Agency (EPA).